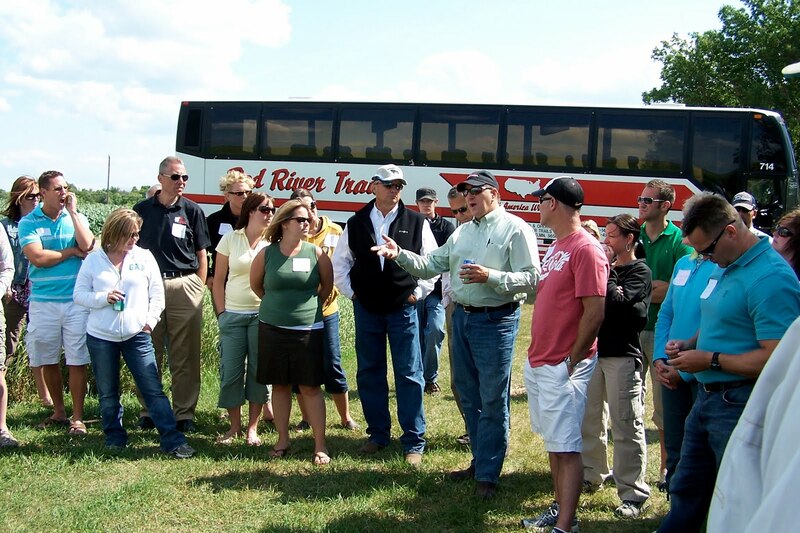 Today is the Farm Tour in GriggsDakota. We will have guests arriving in early afternoon from various US States and Canada. It's always fun to get together with a group of people with farming and ranching in their blood. Our tour is unique for a couple of reasons. Reason One: Many tour participants are employees of AdFarm who have purchased shares in a crop growing on GriggsDakota ground. 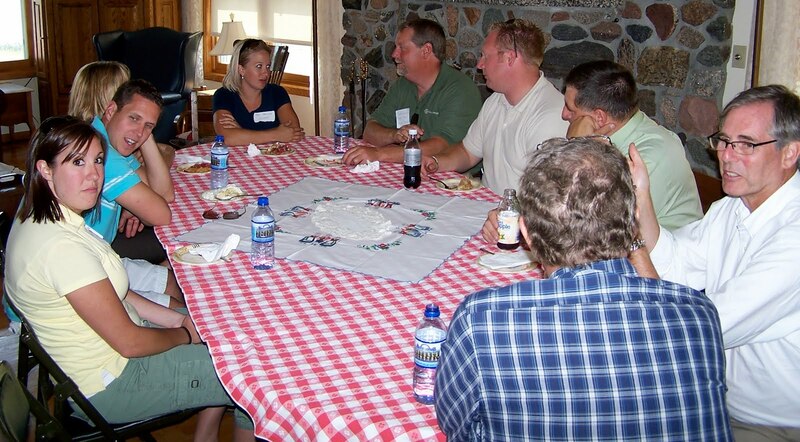 AdFarm employees have farm and ranch backgrounds and want to learn the latest about agriculture. They follow the progress of the crop through this visit and the AdFarm posts on this blog. There is a committee that works with Farmer Fred all season. This is everyone's opportunity for a field inspection. Reason Two: When the tour is complete, everyone comes over to our house for pie. The pies are all home made in our kitchen. I made up huge batches of crust mix on Monday. Lemon Meringue, Coconut Cream, Banana Cream, Toffee Cream, Peppermint Cream, Apricot Cream Cheese, Cherry Cream Cheese, Macaroon Brownie Pie, Cherry Filled Brownie Pie, and a Cheesecake. Today I'll make a couple of big pots of coffee, load up a cooler of soft drinks and there will be feasting in GriggsDakota. Thanks Mom for the work that Dad and you do to make this tour a grand success on an annual basis. You were doing farm tours before farm tours were cool!